Located in Higgins Lake, Michigan. Cross Country Ski Headquarters is a Pure Michigan premier destination for cross country skiing in Michigan and the Midwest. 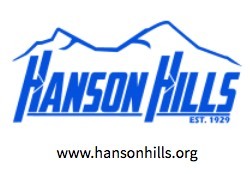 It is the best source for cross country skis, equipment, clothing, cross country ski packages, and expertise. Located at 9435 N. Cut Rd., Roscommon, MI 48653. In the winter of 1974, Bob Frye opened a small cross country ski rental operation out of the shed of a Higgins Lake snowmobile repair shop. Thirty-eight years and multiple expansions later, Bob and his wife Lynne are still committed to the same goal with which they started: make cross country skiing fun and affordable for everyone. The Cross Country Ski Headquarters is in the heart of Michigan’s cross country skiing mecca, with beautiful trails not just onsite, but all around us. This location, combined with Bob and Lynne’s decades of XC-ski knowledge and experience, makes the XC Ski HQ your premier resource for top-of-the-line service, equipment, clothing, and facilities. The business has grown from its humble beginnings to a vast retail store, a sprawling, meticulously maintained trail network, a large rental and demo facility, and a full-service café and day lodge – all completely dedicated to cross country skiing and, more recently, snowshoeing. We encourage our skiers to “try before you buy” when it comes to skis, boots, poles, and snowshoes, and we promise to help our customers create the best cross country skiing experience possible. Come see why people from across Michigan and the Midwest return year after year to experience winter in a truly unique and memorable way. 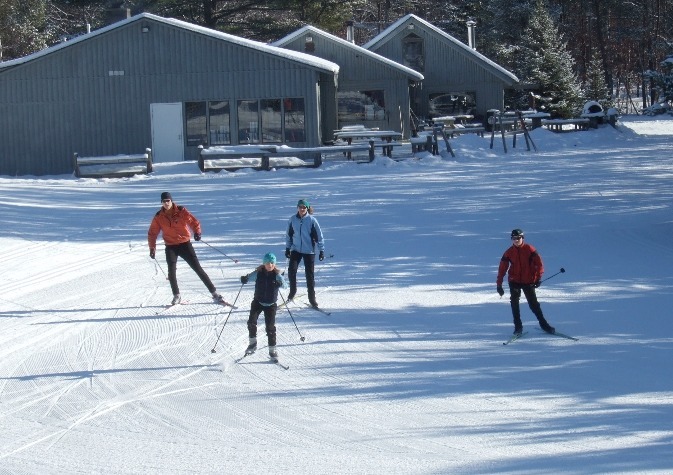 Our friendly and experienced staff, broad selection of equipment and apparel, and accommodating facilities make Cross Country Ski Headquarters a perfect getaway that is not only fun, but affordable. So what are you waiting for? Come Ski With Us! Cross Country Skiing is all we do. When the snow melts for good, we shut our doors and start planning for next winter. We eat, sleep, and breathe cross country skiing all spring, summer, fall, and winter, which is why we are truly the cross country skiing experts. Skiers across the country and around the world have come to rely on our unbeatable customer service, excellent prices, and extensive selection from top brands including Salomon, Fischer, Rossignol, Atomic, Madshus and Alpina. We also offer a wide variety of carefully selected apparel, including items from North Face, Patagonia, Under Armour, Columbia, Sporthill, Brooks, Salomon, Swix, and more. Whether you’re an elite racer, a novice, or somewhere in between, the expert crew at Cross Country Ski Headquarters will help you fulfill your XC skiing needs at the lowest price possible. Here are the latest photos of the Cross Country Ski Headquarters via instagram. If you have an instagram photo to share of your visit to Cross Country Ski Headquarters, choose “Cross Country Ski Headquarters” as your location and your photos will appear in the photo stream below.